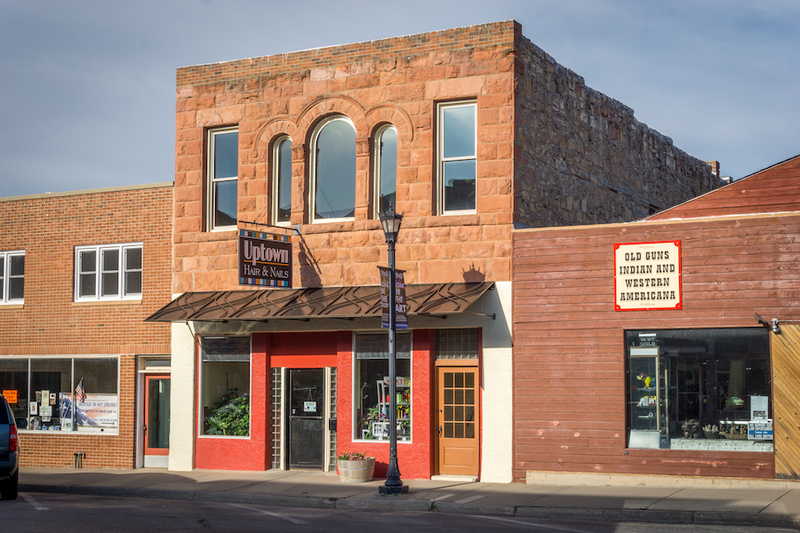 Although the cornice and corner are missing, the Shann Building is a significant structure because it was the first commercial sandstone building constructed in Hot Springs. The original owner operated a butcher shop with sleeping rooms above. A round ached triumvirate of windows with hood molding and simulated pilasters highlight the second floor. Heavy lintels are used on the two flat-topped openings while lug sills appear on all the windows. Notice the large stones that separate the two stories. The Shann is the oldest commercial stone building in the downtown area.